The slogan for Bookmaker is “Old School Meets New School” and that is a very nice description of this online racebook and sports betting parlor. Bookmaker has embraced the modern convenience of online betting while preserving the feel and action that long-time bettors crave. Many people that like to bet on the races also enjoy other forms of betting and even casino action. It is important for a successful online racebook to cater to these customers by offering a multifaceted gaming experience, and Bookmaker does exactly that. Not many online sportsbooks can claim to have thirty years’ experience in providing excellent service, but Bookmaker will indeed celebrate their third decade of business in 2015. Founded in 1985 and based in Costa Rica, Bookmaker was handling sports bets long before the rise of Internet gambling. They are so respected in the industry that other sportsbooks often follow the lines posted by Bookmaker. It was a very natural move for Bookmaker to become involved in online betting given their strong reputation in the market. The actual domain for Bookmaker didn’t appear until 2007, but the owners and developers of the operation already had experience with several online betting sites before launching the platform that would become their premier operation. They knew that the competition was very tough and worked to come up with a premise that would set them apart from other online betting parlors. The answer came when the owners asked themselves, what if we could set the line on sporting events before Las Vegas? For years, Las Vegas sportsbooks had been responsible for issuing the “morning line” or beginning odds on a sporting event. Bookmaker challenged that and started posting a line before the oddsmakers in Vegas. Additionally, Bookmaker made it very easy for players to contact their customer service and they still do. Players can email [email protected], call 1-866-926-6562, or even follow @BookMakerdotEU on Twitter for the latest updates from the site and early lines. A full service racebook. Bookmaker offers odds on all the biggest horseracing events, and a Bookmaker account will allow players to access the largest selection of horse betting options on the Internet. Betting action is available for all major US racetracks and players can bet to win, place, or show as well as on exotics like the superfecta and Pick 4. Bet as little as $1 online. A $1 minimum bet is offered on most horseracing wagers, allowing more people to take advantage of the excitement of horse betting. 8% cash rebates, win or lose. Bookmaker has one of the most generous rebate programs of all racebooks, giving players an amazing 8% cash back on all Internet exotic wagers. Rebates are also available for bets placed through the call center and there is no limit or betting minimums required to receive the rebate. It is automatic with a Bookmaker account. Tap, Swipe, and Win. The Bookmaker platform is compatible with all modern mobile devices, allowing account holders to wager from an Android phone or an iOS tablet. 50% Welcome Bonus for new players. Everyone who registers a new account with Bookmaker is eligible to receive a 50% Welcome Bonus on their first deposit. Certain terms and conditions apply so be sure to check the website for all the current details. Sports bets also earn Bet Points that can be redeemed for various prizes. Great deposit and withdrawal options. Players can deposit to their Bookmaker account with Visa, Western Union or Money Gram, NETeller, or bank wire. Withdrawals can be made via Western Union or Money Gram with same day delivery, check, or even a Debit Mastercard. No collars on winnings. Bookmaker doesn’t impose collars on winning players or restrict the amount a player can cash out of their account. Start betting now at Bookmaker! 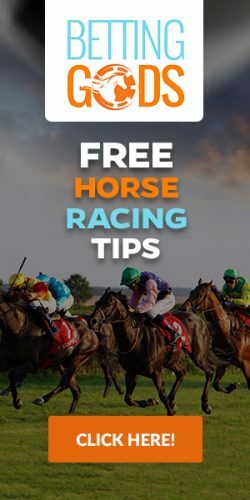 In just a few minutes from now you could be handicapping a race with Bookmaker’s free tools and information and preparing to bet your first horse race. Signing up is quick and easy. Bookmaker gets very high marks from EZ Horse Betting and is recommended because of their reputation in the business and great customer service.